Breaking News! Have your donation doubled on #GivingTuesday! We’re pleased to announce a matching partner for #GivingTuesday! What does that mean? Donation matching means that donations-up to a pre-determined maximum are doubled. For every dollar you give during the below time periods, this group will match your donation 1:1 until the max is reached. That means double the donation and double the impact! Small donations go a long way and thanks to our matching partner, your gift on #GivingTuesday will go even further! 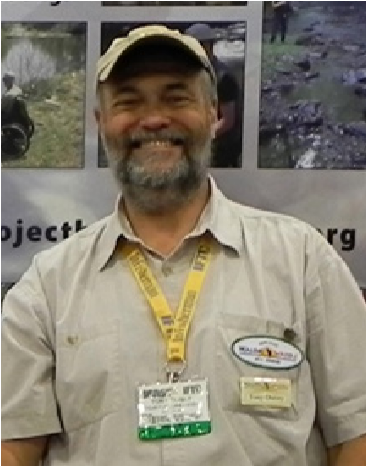 Tony Dunay was first introduced to Project Healing Waters Fly Fishing, Inc (PHWFF) through Ed and Leslie Nicholson upon his retirement as a government worker at Naval Support Facility Indian Head. It was immediately apparent that Tony was very excited about the idea of volunteering for PHWFF. It gave him the opportunity to stay busy as a retired individual and to give back to wounded and disabled veterans. Through his years of steadfast volunteerism, Tony went above and beyond by providing general assistance to the Headquarters staff. He and his wife are truly the definition of team players, always willing to contribute to any task that needs to be done despite how time consuming or tedious it might be. The PHWFF Board of Trustees bestowed our highest award, The Patriot Award, on Tony in 2014.